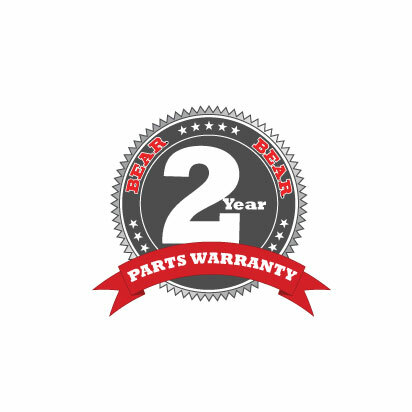 All wheel units are Made in the USA with rugged all-aluminum construction and come backed by a unique 2yr warranty. 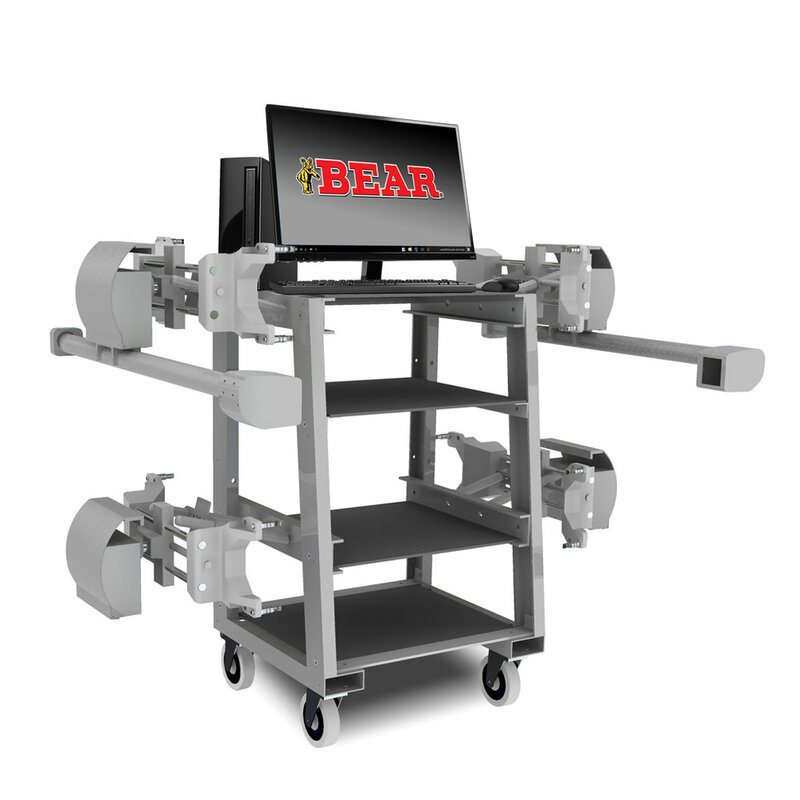 Bear SBA aligner will never let you down. Elevated adjustments, the system “remembers” the measured values, while the operator adjusts. The 60-7266-S - if you already have a computer and a printer, the economical modular SBA configuration will quickly add alignment service to your business with a speedy ROI. More info. No computer? No problem. Upgrade from the modular system to the 60-7111-S. Included in this aligner is a sturdy aluminum frame cart and a super-efficient econo Pc. More info. The 60-7444-S comes with an upgraded Mini-Delorean cabinet with printer slot, fast compact PC, internal storage area and brilliant illuminated Bear logo. More info. The 60-7500-S is the complete package with deluxe Delorean cabinet with fast compact PC, ventilation system, keyboard drawer, built-in charging ports, internal storage, and more! More info.